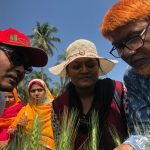 Fourteen young wheat researchers from South Asia recently attended a screening and surveillance course to address wheat blast, the mysterious and deadly disease whose surprise 2016 outbreak in southwestern Bangladesh devastated that region’s wheat crop, diminished farmers’ food security and livelihoods, and augured blast’s inexorable spread in South Asia. Held from 24 February to 4 March 2018 at the Regional Agricultural Research Station (RARS), Jessore, as part of that facility’s precision phenotyping platform to develop resistant wheat varieties, the course emphasized hands-on practice for crucial and challenging aspects of disease control and resistance breeding, including scoring infections on plants and achieving optimal development of the disease on experimental wheat plots. 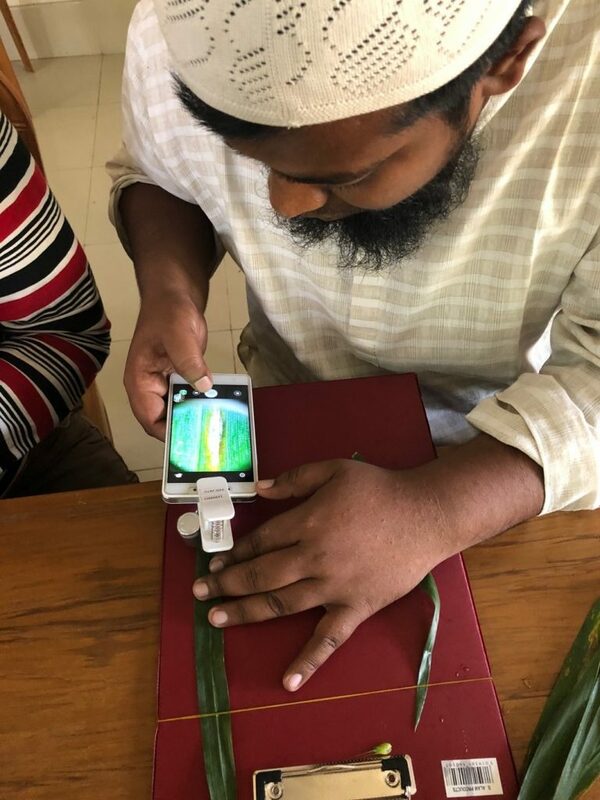 Cutting-edge approaches tested for the first time in South Asia included use of smartphone-attachable field microscopes together with artificial intelligence processing of images, allowing researchers identify blast lesions not visible to the naked eye. 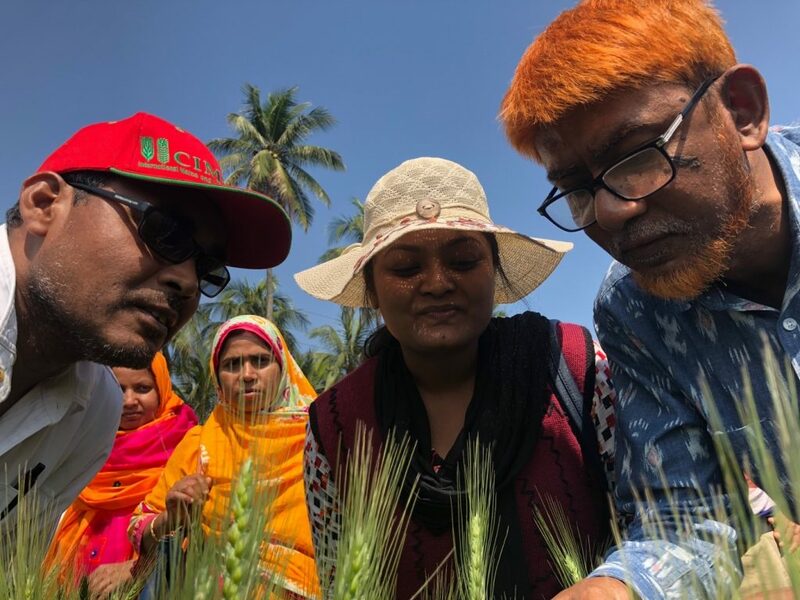 Cooler and dryer weather during the 2017-18 wheat season has limited the incidence and severity of blast on Bangladesh’s latest wheat crop, but the disease remains a major threat for the country and its neighbors, according to P.K. Malaker, Chief Scientific Officer, Wheat Research Centre (WRC) of the Bangladesh Agricultural Research Institute (BARI). “We need to raise awareness of the danger and the need for effective management, through training courses, workshops, and mass media campaigns,” said Malaker, speaking during the course. The course was organized by CIMMYT, a Mexico-based organization that has collaborated with Bangladeshi research organizations for decades, with support from the Australian Center for International Agricultural Research (ACIAR), Indian Council of Agricultural Research (ICAR), CGIAR Research Program on Wheat (WHEAT), the United States Agency for International Development (USAID), and the Bangladesh Wheat and Maize Research Institute (BWMRI). Other participants included Jose Mauricio Fernandes, EMBRAPA-Passo Fundo, Brazil; Pawan Singh, CIMMYT wheat pathologist; T.P. Tiwari, Timothy J. Krupnik, and D.B. Pandit, CIMMYT-Bangladesh; Bahadur Mia, Bangladesh Agricultural University (BAU); and scientists from BMWRI and BARI, the Nepal Agricultural Research Council NARC, and Assam Agricultural University (AAU), India.